I think yellow split peas are quite under estimated legume, but they are in fact cheap, easy to cook, versatile, gluten-free and loaded with good nutrition. Split peas belong to the same family as lentils and beans. They come in green, red and yellow colors. 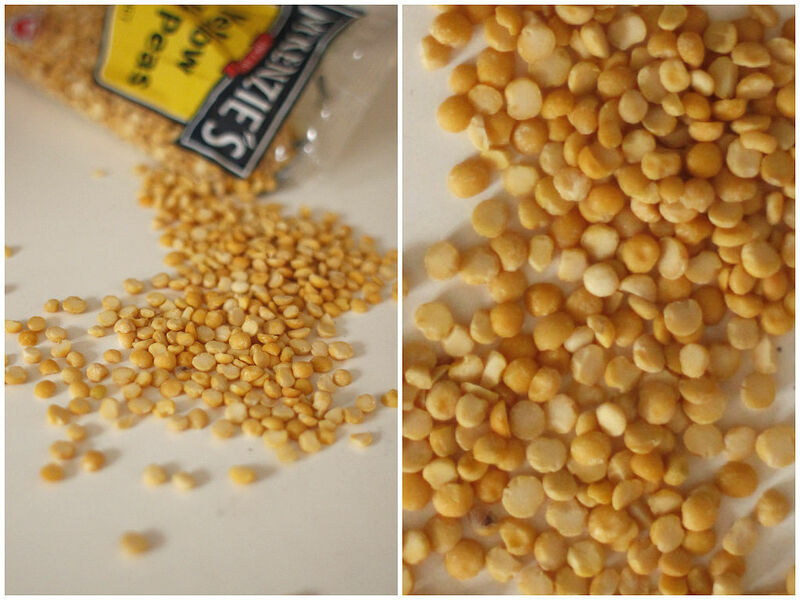 Yellow split peas offer many nutritional benefits, including being rich in dietary fiber and protein. A 1/2-cup serving of cooked split peas provides 144 calories, 10 grams of protein, less than 1 gram of fat, 26 grams of carbohydrates, 10 grams of dietary fibre. Yellow split peas are particularly rich in vitamin B-1 or thiamin that is needed for proper nervous system function, and folate for contributing to heart health, enhancing immune system function, preventing birth defects and forming red blood cells. Split peas are also rich in numerous minerals – phosphorus and potassium. Phosphorus is a major mineral involved in developing strong, healthy bones and also a component of all cells and DNA. Potassium helps regulate heartbeat and blood pressure and promotes healthy arterial circulation. they are high in the trace minerals molybdenum and manganese, which are involved in metabolic reactions in the body. Insoluble fibre in split peas helps healthy digestion and encourages regular bowel movements while soluble fiber aids in weight management by enhancing the feeling of “fullness,” helps decrease blood cholesterol levels and stabilises blood sugar levels. 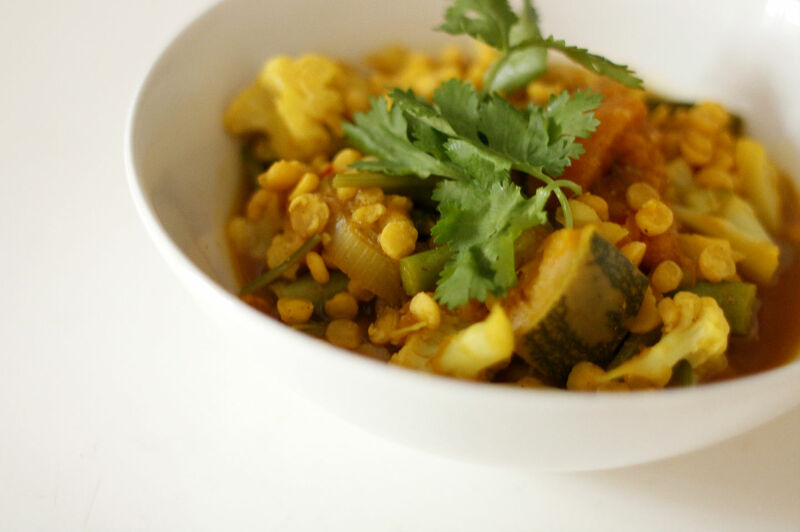 This recipe is simple, gluten-free, vegan and packed with curry flavour. You can serve this over cooked rice or flat bread on the chilly days – perfect comforting soup! Wash and soak the peas in a bowl. Wash and cut your vegetables and set aside. Heat coconut oil in a stock pot and add leek, garlic, ginger, turmeric, curry powder and cayenne pepper. Stir until the leek is translucent and fragrant. Add other vegetables and stir well to coat all the spices. Drain the peas and add into a pot with saffron and water or vegetable stock. Bring it up to a boil and simmer for 20 minutes or until cooked. Season with salt and pepper and add a squeeze of lemon at the end. Ladle the soup into a serving bowl and garnish with coriander.